On the 28th June 2017, the FCA published its long-awaited review of the asset management sector. It concluded that many customers, and indeed pension funds, are not receiving value for money from their asset managers and that greater price competition amongst asset managers is required. The FCA report is detailed and insightful in its analysis of the weaknesses of the asset management industry. But we shouldn’t lose sight of the fact that there are plenty of examples out there of managers and consultants/advisors who are delivering great results and good value for money. We know this because we’re a pension fund benefiting from both. 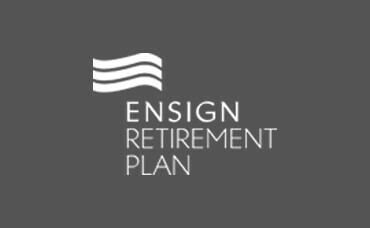 The MNOPF’s funding position has improved significantly, while the Ensign Retirement Plan, our maritime industry DC master trust, offers a modern retirement savings vehicle that is valued both by its members and employers. We’ve done this by having clued-up trustees and the right governance structure, enabling us to identify and hire managers and advisors who are delivering great results, on our terms. I would urge trustees to step up and play their part. We fully support the FCA in driving best practice, but what the regulator is looking to achieve is already being delivered – certainly in our case. The key is for the asset management industry’s clients to ensure they are identifying and demanding best practice, as we have done. And if necessary to vote with their feet. Responsibility for failure certainly lies partly with managers and advisers. But investors in general, and pension fund trustees in particular, must also take some of that responsibility. We’ve proved that it can be done. It’s almost a case of buyer beware…if you don’t do your homework, know exactly what you want and why you want it, if you don’t negotiate a good price and get some form of warranty, then you have to share some of the responsibility if problems occur. We do all that when buying a house or a car and the same approach should be taken by pension funds.